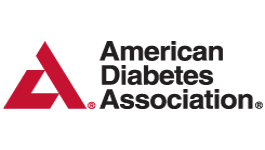 Diabetes Health features Dr. Kantor’s article on vitality and nutrition through addiction recovery. www.diabeteshealth.com features Dr. Kantor’s lifestyle tips for nutrition and vitality in addiction recovery. Being properly nourished is an essential component to a life of vitality and optimal health especially individuals who are in recovery from addiction. Regular meals that are packed with antioxidants, heart healthy fats, and high quality proteins are important. If the physiological feeling of hunger has been lost, then a behavioral modification exercise should be encouraged, it is important to therapeutically to think and journal about the feeling of being hungry, especially when huger cravings are coming on strong. Dehydration is also common is very common, and can be easily overcome with behavior modifications, like logging water intake daily. It is important to get enough fluids during and in between meals. Appetite and hydration will usually regulate as the body heals and the overall metabolism regulates. If you find that you are overeating more then ever, that could be your body’s way of looking for a different source of energy. Healthy ways to obtain energy include exercise, stretching, breathing meditation, and of course eating a balanced diet rich in antioxidants thus avoiding any possible nutrient deficiencies like B vitamins that could affect energy, and using high quality nutritional supplements that will also decrease the risk of being deficient in nutrients. It is important to eat healthy meals and snacks and avoid dense calorie junk foods with low nutrition, such as processed pastries, bleached flour breads, candy, sodas, etc. In some cases if weight gain has occurred, eating foods that are nutrient dense not calorically dense (fruits and vegetables) is a strategy that can be used to avoid further weight gain. Promote weight loss, increase health and vitality and most importantly prevent health related issues to increased levels of adipose tissue (body fat) around essential organs causing inflammation. By following these guidelines through the recovery process it will have a small but statistically significant effect on helping a patient withdrawal from addiction while reducing symptoms of their addiction. Develop a meal and snack schedule and adhere to the routine daily. This will reduce cravings while keeping the body in a state of balance specifically steady insulin and energy levels. 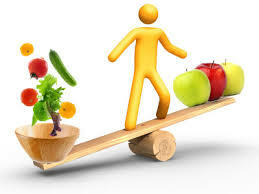 Aim to eat 9-11 servings of fruits and vegetables daily. Preferably a ratio of one fruit to three vegetables. This keeps fiber intake at optimal levels, and provides vitamins and minerals in their most raw form. The darker the fruit the better, fruits like berries, grapes, and pomegranates are the lowest in sugar and most nutrient dense. Drink at least half of your body weight in ounces of stable alkaline water daily. This will promote optimal organ function, electrolyte balance, and reduce cravings. Alkaline water promote pH balance reducing over inflammation in the body promoting a healthy metabolism. Include a high quality source of protein, a heart healthy fat and fibrous carbohydrate at each meal. This is the most absorbable form of amino acids, which have been shown to be critical in healing and recovery. Cold water fish, natural chicken, cage free eggs, or high quality hemp protein powder. Vitamin and mineral supplements are also helpful to anyone specifically someone who is trying to rebuild their body. A high quality multi-vitamin and mineral supplement, B-complex, vitamin D, omega 3 fish oil, and a probiotic are all recommended to take daily with meals for optimal absorption . More specific supplements and herbs can be recommended individually based on assessment and laboratory values. Get regular exercise, at least 30 minutes most days of the week. Exercise can be light cardiovascular activity like walking, swimming or cycling, or strength training, and of course the mind and body formats like Yoga and Pilates are always beneficial in recovery. Aim to get at least 7-8 hours of quality sleep per night, supplementing with magnesium in the evening can promote healthy sleep. Another important area in the use of nutrition in recovery is the addition of appropriate amino acids that serve as the building blocks for powerful chemicals in the brain called neurotransmitters. These neurotransmitters, including epinephrine and nor-epinephrine, GABA, serotonin and dopamine, are closely tied to addiction behavior. With the use of various amino acids, brain chemistry can be changed to help normalize and restore deficiencies in the neurotransmitters that spur cravings that can lead to addiction and relapse. Amino Acid injections are the most potent and effective, and optimal to use during recovery. Oral supplementation is good for long-term use after neurotransmitters have initially been changed. This is also known to suppress the opiate receptors, which greatly aids in recovery. Research on mice has shown that their body reacts to sugar through opiate receptor binding. The opiate receptors react to sugar, artificial sweeteners, milk protein, caffeine and gluten similar to addicting substances, which increase the opiate receptor binding activity. Those who are regularly exposed to sugar tend to consume 30% more calories daily then those who eat a balanced diet that is not particularly high in sugar, this is measured specifically through opiate receptor binding. Aim for more complex carbohydrate sources like quinoa, steel cut oats, sweet potatoes, wild or long cooking brown rice, sprouted grain breads, beans, flax seed, to name a few over sugar. Due to the higher fiber content of these complex carbohydrates the body breaks them down more slowly, resulting in more steady insulin levels and decreased cravings and opiate response. By not stimulating the opiate receptors, long term success is attainable.